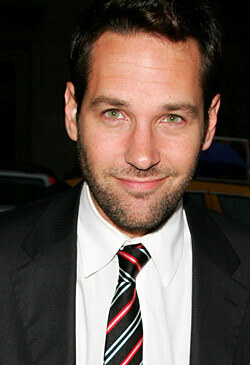 HOLLYWOOD – Paul Rudd is to play Steve Guttenberg in a new biopic of the actor made famous by Cocoon, Three Men and a Baby and Police Academy. Steve Guttenberg was my inspiration growing up and I would never have thought to have challenged the role if it wasn’t for the fact that the script was out of this world and Alejandro González Iñárritu is a director I greatly admire. This is not a classical biopic which sweeps from childhood through early struggles and success to inevitable decline. Instead we find Steve at a later part of his career. The heady days of the Eighties are over and the nineties have been dry, but Steve is preparing his directorial debut P.S. Your Cat Is Dead. Alejandro sees the film as a companion to Birdman, continuing his obsession with stars of the 80s and 90s, seeking to make artistic statements. Did you see the original film? Yes. It should be a lot better known. It’s really good. We want to make people realize that the guy from Short Circuit was an accomplished actor and director and not think of him as simply a possible cloned threat from China. There’s talk that China have 3D printed an army of Guttenbergs. Guttenberg Will be released in 2020.